NASHVILLE, Tenn. (May 18, 2016) – Fans of country music hit-maker Mark Chesnutt will want to circle the date of July 8 on their calendar as the traditional-minded singer will release his fifteenth studio album that day, aptly titledTradition Lives. Tradition Lives, his first disc of all-new material since 2010, was produced by Jimmy Ritchey -- someone that Chesnutt says is a crucial part of his sound, having worked with him for years. “He and I hooked up at a time when not a lot of people had a lot of faith in me anymore because I stayed 'country' when the industry was going the other way. I needed somebody like Jimmy who really believed in my kind of country music,” said Chesnutt. “A few years back, Jimmy Ritchey and I were at his home studio at about 2 a.m. talking about The Hag and his influence on us, and we thought it would be nice to add this song to the album as a tribute to him and to Red Lane. It's just me with Jimmy on guitar. I hope fans enjoy it," said Chesnutt. 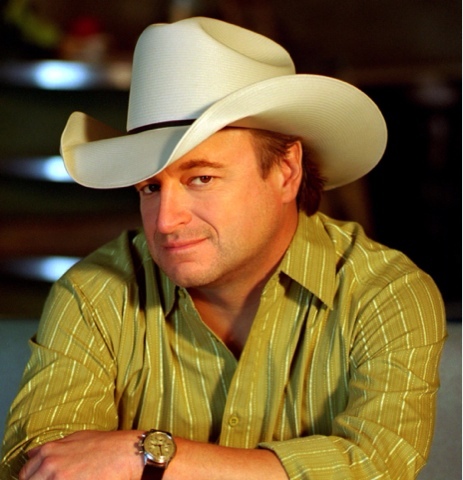 A native of Beaumont, Texas, Mark Chesnutt began his run up the charts in 1990 with “Too Cold At Home,” and followed that initial hit up with blockbuster 90s favorites such as “Brother Jukebox,” “Let It Rain,” and “I Don’t Want To Miss A Thing.” Along the way, he has earned one Gold album and four Platinum albums. He has been nominated for several industry awards, and has a CMA trophy to his credit – the 1993 Vocal Event of the Year prize for “I Don’t Need Your Rockin’ Chair,” a hit for The Possum, George Jones. Chesnutt continues to be a touring favorite, with close to 175 dates on his calendar – which is booked well into the latter part of 2016. Tradition Lives is produced by Jimmy Ritchey and released by Row Entertainment. Row Entertainment is distributed by BFD through RED distribution. For more information about Mark Chesnutt, log on towww.MarkChesnutt.com.